You finally managed to find the perfect fitness routine. One that allows you to have a perfect workout, sweat all of those pounds off and fits your overly-demanding schedule. So why should you switch up your workout routine? Why should you mess with something (almost) perfect? Because you have to; just let us explain. You see, if one of your main goals is to lose weight, too much of the same fitness routine can actually hinder your body’s ability to lose weight and make you plateau. 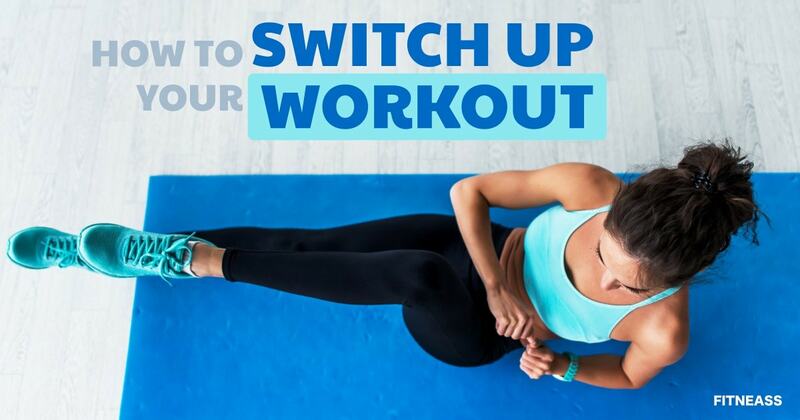 Why You Need To Switch Up Your Workout? A recent study from the University of Florida revealed that changing the way you challenge yourself fitness-wise can help you stick with working out longer. The researchers discovered that people who switch up their routines every two weeks more likely to stick with exercising over the long haul than people who keep everything same. In essence, you have to “keep your body interested” in whatever you’re doing. But if you’re into a specific workout routine, making some changes isn’t that easy. For instance, if you’re into jogging, it’s pretty hard to get into high-intensity workouts and vice-versa. In order to help you make progress, here are a few tips that will enable you to shake up your workout routine and lose more weight in the process. As you already know, HIIT has a number of pros, but it can’t be your only workout method. You have to dose it right if you want to reap the benefits. This means you should limit your HIIT sessions to three times a week. By doing restorative yoga, you’ll be able to allow your body to heal. This way, you’ll feel energized for your next workout and you’ll be able burn more subcutaneous fat. Speaking of energy, mixing up your cardio routine will enable you to improve your endurance levels. Furthermore, you’ll be able to speed up your metabolism and burn more calories in the process. For instance, by cycling all the time, you’re only working your legs. You need to target different muscle groups, so try to add some treadmill sprints, rowing exercises and battle ropes to your cardio workouts. People who lift weights regularly get to a point where a certain number of sets feel pretty easy. But lifting the same weight won’t help you add more muscle mass, nor lose more weight. That’s why need to challenge yourself. For instance, you could try a something like AMRAP. In this program, you force yourself to do a set list of exercises as many times as possible in a set amount of time. Although yoga can help you “be one with yourself”, it’s also an effective training routine used by millions of people around the world. It has numerous benefits and it should always be a part of your weekly/monthly training regime. You should try combining yoga with bodyweight intervals – get your blood going and then work up a sweat. This way, you’ll combine two weight-loss activities in one. Steady-cardio exercises are great for weight loss. As a matter of fact, according to a study from Duke University people who do cardio lose more pounds of fat than people who do resistance training. But as we said before, you need to push your body to its limits. That’s why you should add high-intensity sprints to your fitness routine. Try having 30-second long sprints followed by 2-minute recovery jogs. This will increase your heart rate and consequently, stimulate the fat-burning process. Needless to say, you should switch up your workout routine every day. That would be an overkill. You don’t even have to do it every two weeks. The best way to do it is to change your routine slightly every month while staying consistent in styles of the workouts you’re doing. This is the best way to see results and make progress at the same time. Knowing when to change things up will help you push your body into new territories and avoid the dreaded plateau. Just always keep in mind: a little bit of change is definitely good for you.